In the same year that the state suffered a severe storm which brought down estimates for airline travel and theme park attendance, Florida has once again managed to break its tourism record. Governor Rick Scott announced on Tuesday that Florida’s annual visitor total for 2017 reached an estimated 116.5 million, a more than 3 percent raise from 2016 and the state’s eighth annual increase in a row. Scott used the announcement as an opportunity to credit Visit Florida, the state’s tourism marketing agency. The majority of visitors were domestic; 102.3 million US residents made their way to the Sunshine State. 13.2 million travelers came from other countries, with the largest chunk — 3.5 million — coming from Canada. Those numbers were reached in spite of September’s Hurricane Irma, which did have an effect on the overall total. According to Visit Florida, Irma accounted for an estimated loss of 1.8 million visitors and $1.5 billion in visitor spending. Both the Walt Disney World Resort and Universal Orlando Resort suffered park closures and event cancellations throughout the storm. Airport passenger counts dropped 12 percent during the month Irma hit, according to a state report. Although Irma influenced Central Florida’s theme park tourism numbers to some degree, both The Walt Disney Company and Comcast — Universal’s parent company — showed an increase in profits for their theme park divisions in that quarter, according to earnings reports from the two companies. 2018 is already shaping up to be a strong year. 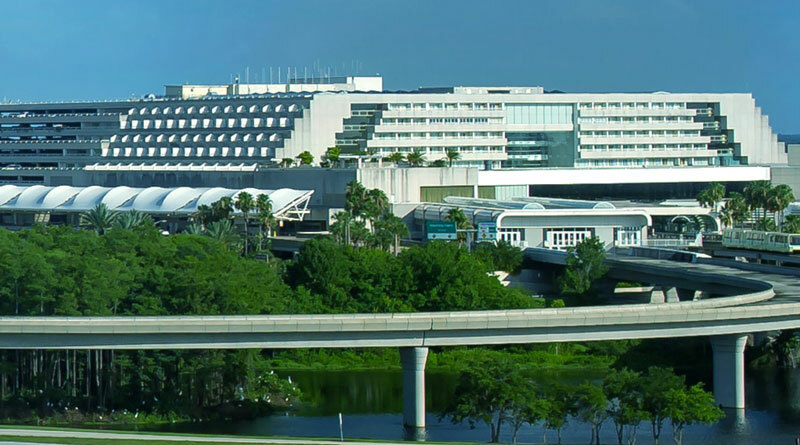 Orlando International Airport estimates more than 3.2 million passengers will travel through their gates between March 1st and April 15th, an 8 percent increase from last year. March 31st is expected to be the busiest travel day, with 85,000 people departing before the Easter holiday.